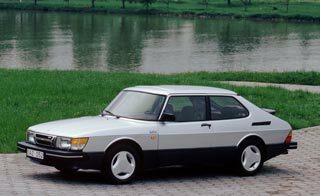 Being produced for over 15 years the Saab "Classic" 900 was a major player in Saabs continued success throughout the 80’s and early 90’s. In this period over 900,000 were produced and included nearly 50,000 of the elegant and stylish convertible. Derived from the Saab 99, the 900 was very different car indeed. It featured a new front section, re designed rear and a new interior said to be based on cockpit design principles.